Wearing a mouth guard during sports can help protect your oral cavity from injury. Here, our Edmonton dentists discuss the most common injuries that can occur during sports, and how they are treated. The following dental injuries are common in athletes because they are usually the result of a blow to the face or head. A cracked tooth involves a crack or split that starts at the crown and extends down into the tooth. If you have a cracked tooth, you may experience sharp pain upon biting down, intermittent tooth pain, or sensitivity to temperature. It is also possible that you will not experience any symptoms at all. Depending on the type of crack you have and its severity, your dentist may repair it with a filling, dental bonding, or a dental crown. In very severe cases, a root canal or even an extraction may be necessary. A blow from the wrong angle could result in in a fractured tooth root. In these cases, the crack begins in the roots of the tooth and works its way upward. 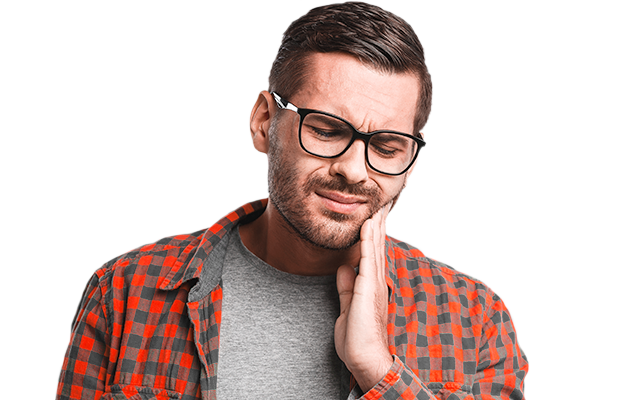 Since these fractures do not always come with symptoms, and because they are hidden beneath the gum line, they are sometimes only discovered once an infection develops in the pulp of the tooth. A patient with a root fracture should undergo root canal therapy as soon as possible to prevent or curtail infection. If your tooth is knocked out, try to find it if possible. Pick it up by the crown (not the root) and rinse it off. Place it back in the socket if you can, and bite down gently to hold it in place. If you cannot get the tooth back into its socket, it is important to keep it moist. Place the tooth in a cup of milk (not water), or in your mouth next to your cheek until you can get to the dentist’s office. The next step is to get to your dentist’s office as soon as possible, ideally within 30 minutes of your injury. If you get to the dentist’s office quickly enough, the dentist may be able to save the tooth. Tooth intrusion is when the tooth is driven back into the jawbone. This type of injury is more common in primary teeth than permanent adult teeth, because children’s alveolar bones, which hold the tooth sockets, are not as hard and strong as those of adults. Treatment for an intruded tooth varies depending on the severity of the issue and whether the tooth is a primary or permanent tooth. In primary teeth, the dentist will allow the intruded tooth to spontaneously re-erupt, provided that it is not intruded into the developing adult tooth. If the tooth does not re-erupt, it will be extracted. A permanent intruded tooth will also be given the opportunity to passively re-erupt. If re-eruption is not observed, orthodontic or surgical re-eruption treatment is undertaken, in addition to endodontic treatment. If you have a dental sports injury in Edmonton, contact us right away. The dentists at our emergency dental clinic are available seven days a week.